Please attend a hearing this week to support the Arizona Mining Reform Coalition’s appeal of permits granted to Rio Tinto to dump polluted water into Queen Creek. The Coalition has appealed the Arizona Department of Environmental Quality’s (ADEQ) improper granting of a permit to Rio Tinto. Queen Creek is already polluted due to mining activity and, if the permit is upheld, Rio Tinto would make the pollution worse. The hearing will be taking place from Monday, February 5, 2018 to at least Friday, February 9. The hearing will go all day from 9:00 to 5:00. The hearing will take place at 1400 W. Washington, Suite 101, Phoenix, AZ. Please drop in at any time (except over the lunch recess) to support our appeal. We will be presenting our testimony starting Tuesday afternoon. Testimony from the San Carlos Apache Tribe will probably be heard later in the week and finish the following week. Please attend the hearing. Check in at 1400 W. Washington, Suite 101, (amongst all the state office buildings) to see what hearing room we will be using. Please note that the hearing takes place in front of a judge and we be conducted in a court-like manner. In 2016, ADEQ granted a permit to Rio Tinto allowing them to dump polluted water into Queen Creek drained from underground mine shafts at Oak Flat after only minimally treating the water. Queen Creek flows from Oak Flat through the town of Queen Valley and flows into the Gila River near Phoenix. The permit is considerably weaker than earlier permits granted to Rio Tinto. Queen Creek is already polluted (copper arsenic, selenium, and other heavy metals). 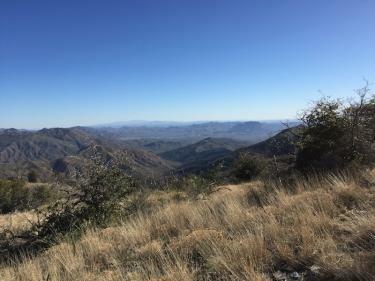 The Arizona Mining Reform Coalition, Concerned Citizens and Retired Miners Coalition, Save Tonto National Forest, and the San Carlos Apache Tribe all appealed ADEQ’s decision to grant the permit. After more than a year of ADEQ’s failed attempts to scuttle our appeal, we will finally defend our appeal in front of an Administrative Law Judge. The hearing will go at least a week.